Looking for Costumes or Halloween Decorations? Bargain Shop- 52 KING STREET W.
Bargain shop- 81 GEORGE ST.
Bargain Shop- 48 MILL STREET S.
Bargain Shop- 429 PARLIAMENT ST. So you are finally down to get some fun Halloween Costumes and Halloween Decorations this year? There are so many stores in the area willing to supply you with exactly what you are thinking about this year for Halloween. Scream Works is your Halloween Destination and we are dedicating this website to be your Halloween resource destination! 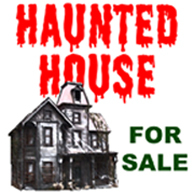 From a list of retail locations organized by city or town to a BRAND NEW Halloween “How To” form the Home Haunter or entrepreneur! After all, you want all the money going to your costumes and supplies, not on gas hoping to find stores! We’re here for you! Now that you’ve got a link to source all of the Halloween Costumes and Halloween Decorations you can think of, now you just need to imagine what type of Halloween you want? Even though dressing up like a pumpkin the year before was a cute idea with your little ones, maybe this year you’re in the mood for something a little more adventurous. Many of the superheroes are coming back this year and because they are such a hit, there seems to be an endless “Marvel Comic” supply of Halloween Costumes and Halloween Decorations dedicated to them. Plus most of the colours are reflective, so you’ll be able to have a safe Halloween by being able to see them from afar. No kids? But you’re still in pretty high spirits to dress up this year? We’ll there are also some very scary, funny and exotic Halloween Costumes and Halloween Decorations to be had. You can be the best superhero or the worst villain if you want. You’re costume may not be as reflective as kids costumes, but definitely a living testimonial of your creative talents! Besides the most vibrant part of the costume is having you in it. If you’re curious for more ideas about Halloween, keep looking through our website or like us on Facebook and get a jump on all that is good for Halloween. Have a great Halloween spirit and feel alive to be something completely different for a change.